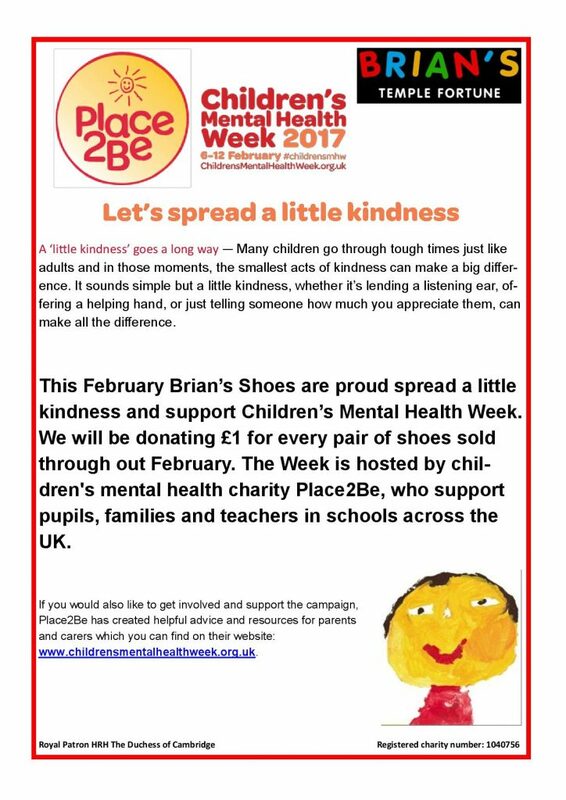 We’re supporters of Place2Be, raising awareness of Children’s Mental Health Week which runs 6th – 12th February. In 2017, the aim of our week is to encourage everyone — adults and children alike — to spread a little kindness. Plus did you know studies show that being kind can make you happier and less stressed?